This large country house is set in the lovely town of Vetrino in the Varna region of Bulgaria. 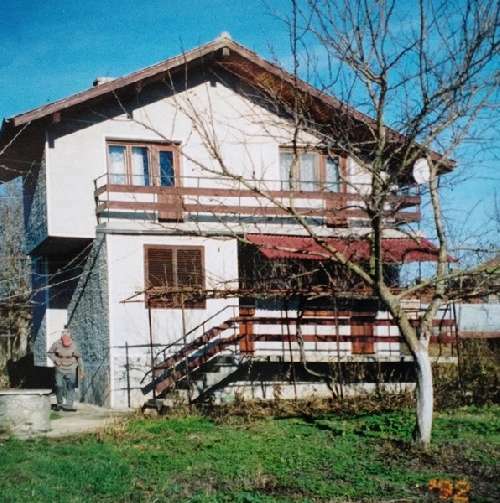 It comes complete with an acre of land (4046 sq m) planted with trees, a garage, some outbuildings and a well, a lovely place to buy a country house in Bulgaria. This 2 storey property has an open plan living room with dining area and kitchen, a family bathroom, 5 bedrooms that can sleep 8 people comfortably and a cellar for storage. It has wooden balconies and verandas and enjoys wonderful views of the surrounding countryside. This country residence for sale overseas is only 20 km from the beach, and 15 km from Varna Airport. It is an excellent investment opportunity for holiday rentals ensuring income during the year.